A brand new company building a brand new truck is a step-by-step process. Some of those steps are bigger than others. Today's baby step from Nikola Motors is a Tweet showing off a couple of new renderings of the Nikola One, the company's hydrogen-powered semi truck. 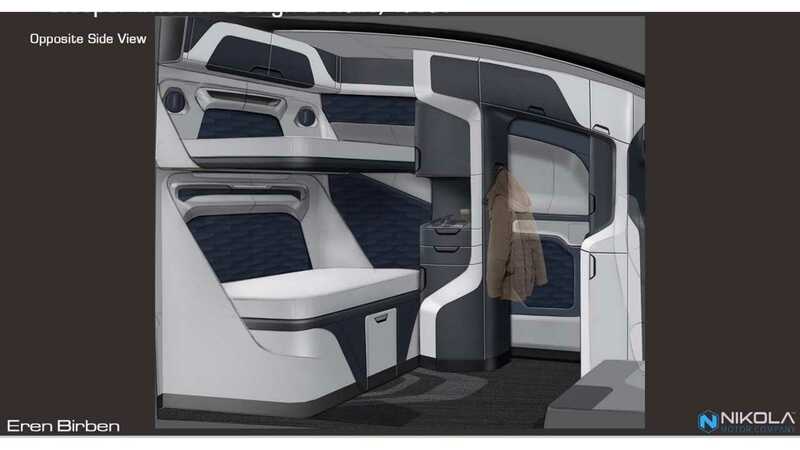 The pictures show a modern, sci-fi styled interior with two bunk beds, clever storage areas, and a black-and-white color scheme. Nikola Motors has also revealed some details about the Nikola One on Twitter, saying recently that the drive train is being designed to handle a 30-percent grade while carrying an 80,000-pound load from zero miles per hour. That sound crazy impressive, but the Nikola One will also have "6x4 all wheel drive" and be able to have a nearly 60-degree turning angle. 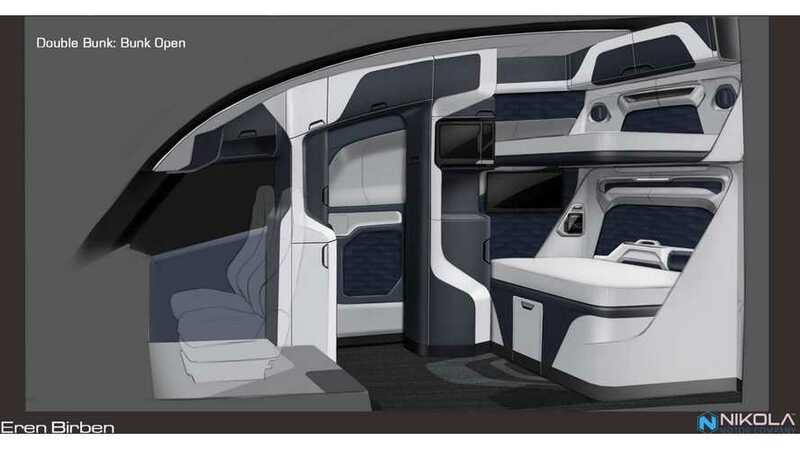 Road tests of the futuristic semi are supposed to start next year. When the first truck comes off the test assembly line, Nikola is promising a "Huge party / event planned for customers, media, partners." Previously, the company said that its first 5,000 trucks will be build by Fitzgerald Gliders in Tennessee, starting from October 2020. Full production will start in 2021. There's news about Nikola's other vehicle as well. At the end of July, the company Tweeted that it would show the redesigned (Pre Production) Nikola Zero UTV by the end of September. The company has also given out some information about the first eight of its hydrogen refueling stations (out of a planned 376), saying that, "All 8 will be the largest hydrogen stations in the world. Capacity 12,000 kgs daily each." The company will announce the location of these stations some time this summer. We'll keep an eye on the official Twitter feed.